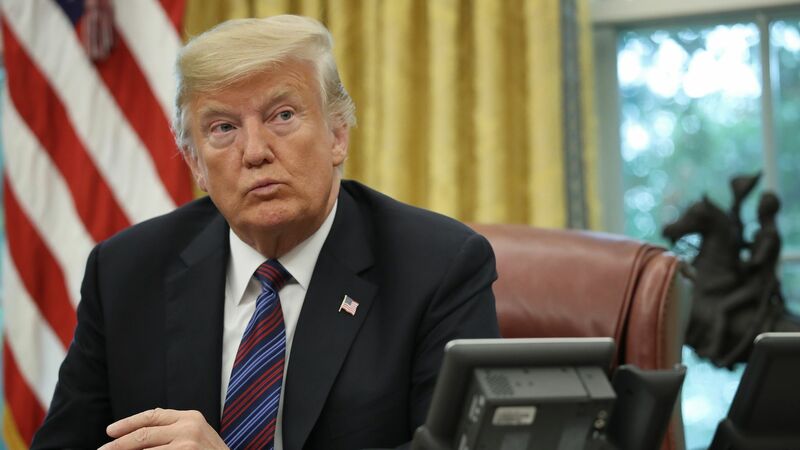 President Trump accused Bloomberg of leaking off the record comments on NAFTA negotiations with Canada, but Toronto Star reporter Daniel Dale, who broke the story, refuted Trump's accusations on Saturday, saying "none of the Bloomberg interviewers was my source." "Trump is calling Jennifer Jacobs, Margaret Talev and their editor liars. They aren’t, and they didn’t violate their 'off the record' promise to him. I don’t want to be a party to his attempt to make fellow reporters look deceitful... Maybe I should have expected the president would confirm a Toronto Star story (!) and use this to go after Bloomberg reporters, but I did not - thought it was likely he’d either a) ignore it or b) or call it fake news and go after my own ethics, which would’ve been fine." Bloomberg Washington bureau chief Craig Gordon later backed Dale's claim. Clarification: This story has been updated to make the headline more specific.